It is worth getting up at sunrise even at weekend and even when it is around 4:30. Perfect light, fog, lack of wind, breathtaking landscapes and perfect conditions for flying a drone. 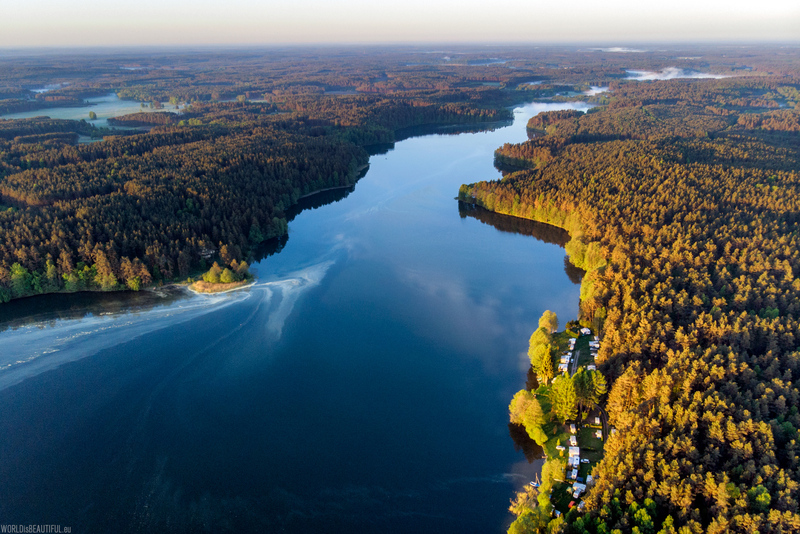 In the picture: Kłączno Lake and Ryńskie Lake near Bytów in Poland. There you can see pine pollen on the water.